Live Urban at the Tower in downtown Fort Worth! Great eastern Vviews of Sundance Square Plaza and city lights! Two bedroom, two bath, two deeded parking spaces, two balconies in this highrise in the sky. Open and light with floor to ceiling windows, two balconies, contemporary style and beautiful wood floors. Split bedrooms with built in closet systems, large living area, roomy kitchen. Amenity features include outdoor pool, fitness center, party room, guest suites, outdoor dining terrace with grills and newly renovated outdoor spaces. 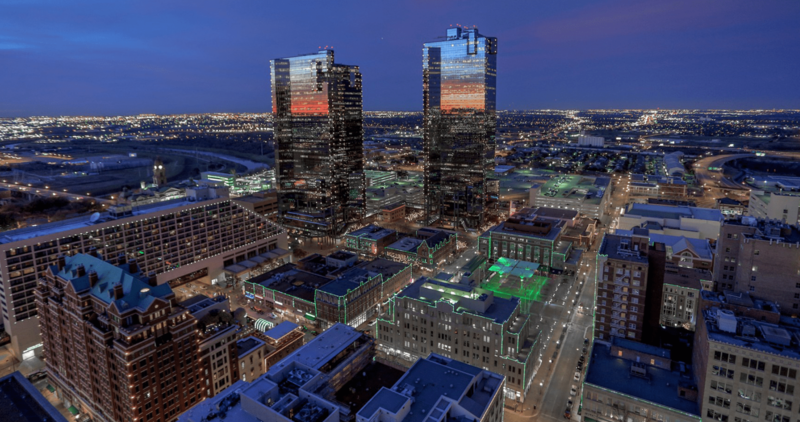 24-7 concierge desk, secured fob access building, walk to Sundance Plaza, Trinity Trails, dining, entertainment, shopping and business centers. Take Tex Rail to DFW Airport.